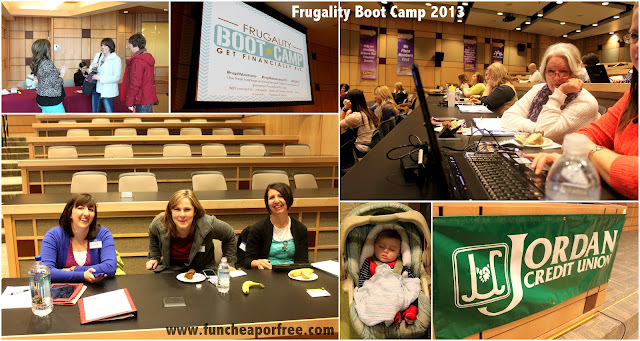 I'm sure some of you are probably sick of hearing about Frugality Boot Camp 2013, so I promise that this will be the last you'll hear of it for a while! But I have to re-cap what a wonderful time we had, and how much of a success it was this year! I hope this inspires you all to consider coming next time. 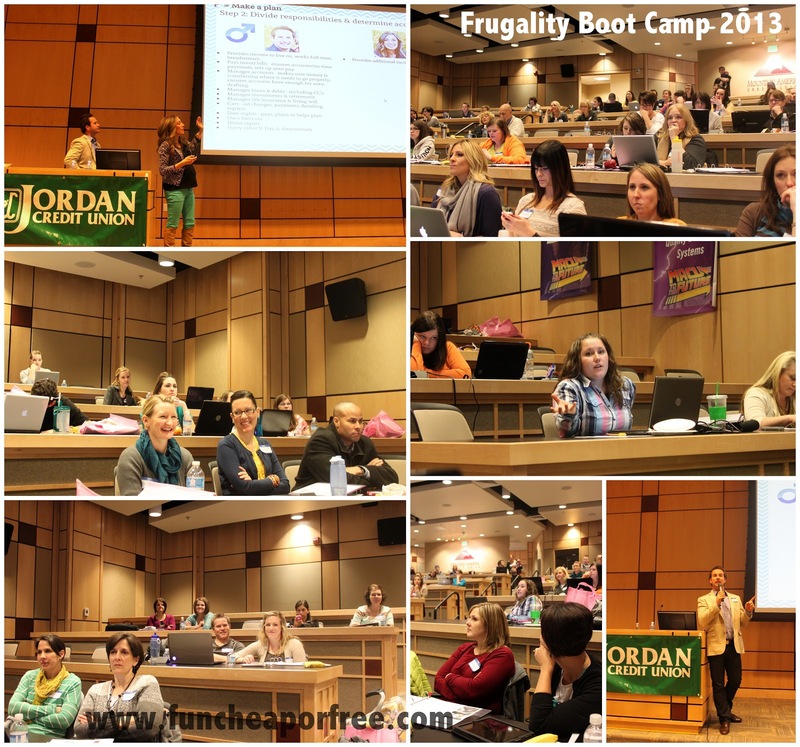 We will be doing one every January, but for those who are out of state we are currently working on webinar versions of FBC so you can join in without the travel expense! For those who ARE local in UT (or the surrounding states) and would like to come, we might just be having another one sooner than we thought since this one was such a hit! Stay tuned for that one as well! So, without further adieu, I present to you…highlights of FBC2013! The preparation DISASTER AREA. We had a blast watching The Bachelor, prepping food, finalizing presentations, and stuffing binders before Camp. This year we had to expand! We originally planned on 50-65 attendees, but kept selling out of tickets! We found this larger space and ended up having to cap at right around 90 people! Yahoo! 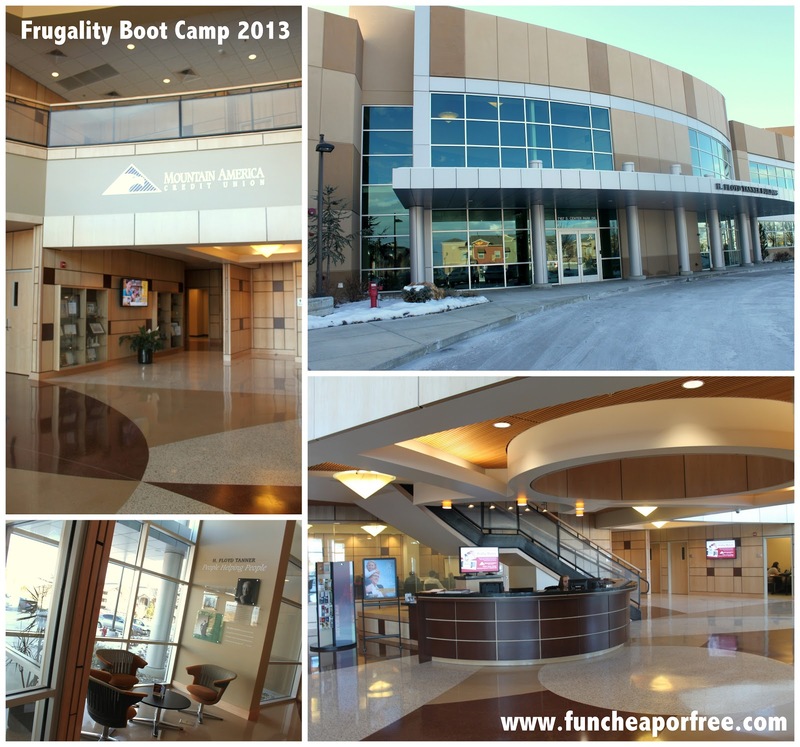 Because of the interest we Mountain America Credit Union's generously let us expand into their gorgeous H. Floyd Tanner building in West Jordan, UT. They were so accommodating, it was THE PERFECT location for FBC! Our amazing team of volunteers and FBC Crew handled the day like champs. Thank goodness for tech-savvy hubbies who saved the day many times! People started filing in bright and early. I was impressed that there were so many early birds! We had attendees from all over the West Coast, from Wyoming, to Idaho, ALL over Utah, and even California. I love me some out-of-towners! 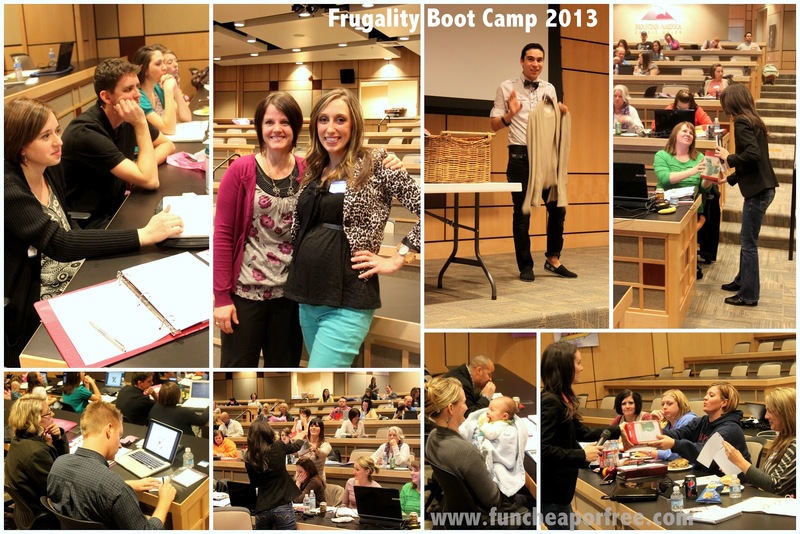 There was an amazing energy in the room; the day was a ton of fun! I could feel the excitement people had about changing their financial lives in 2013. 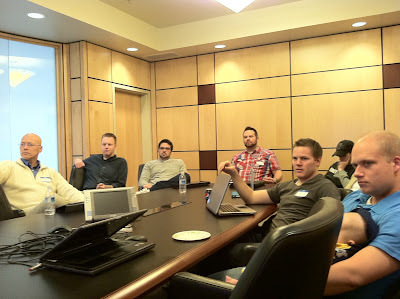 There was lots of interaction, comments, and Q&A throughout the day, which really added positive discussion (and positive vibes) to all the presentations. 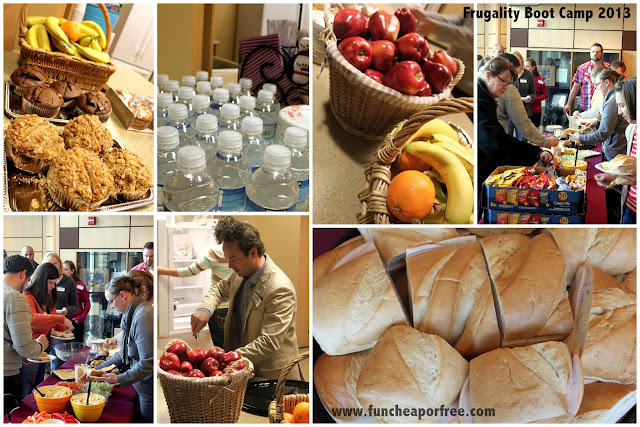 We enjoyed some GREAT snacks, lunch, drinks, and dessert throughout the day, compliments of The Sweet Tooth Fairy, and Amber Creek Counseling. 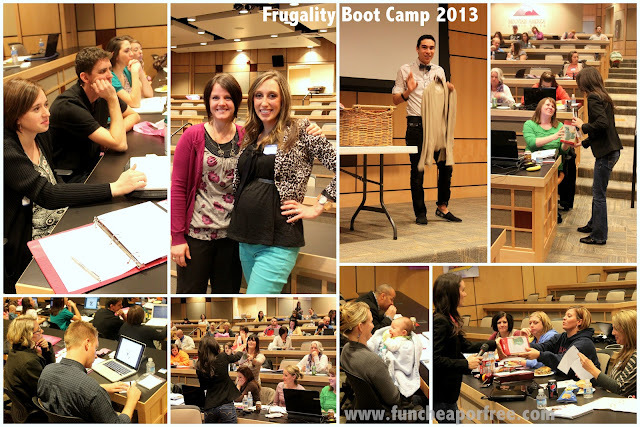 We enjoyed hearing from amazing presenters throughout the day (read about them HERE). The 5 simple steps to completely overhauling your finances. How to be able to buy ANYTHING you want…in time. 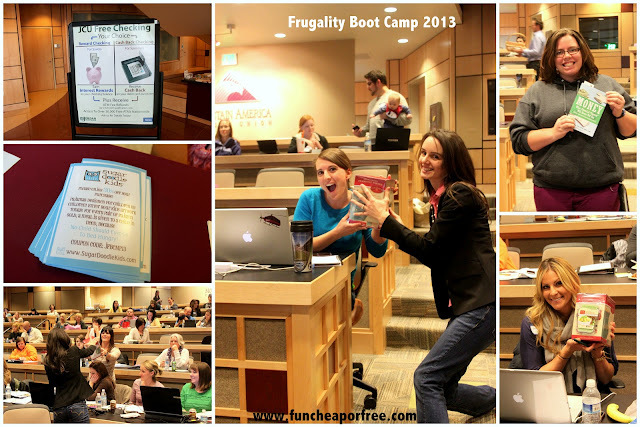 Every attendee got a FBC binder full of printouts, info, budgeting tools, and even got pens, a price notebook, and a grocery list pad to put on their fridge (thanks in great part to Office Depot!). 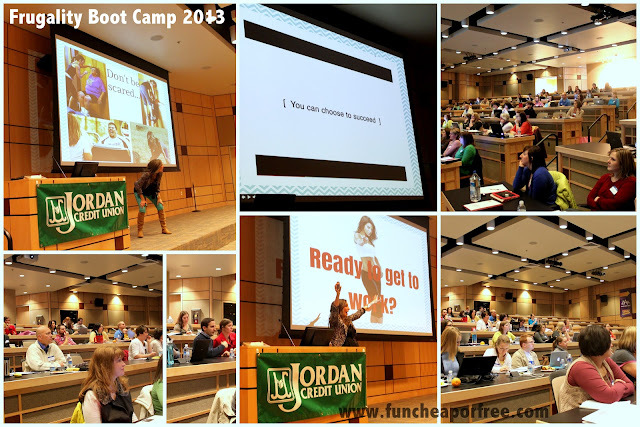 They also got exclusive digital tools emailed to them after the conference to help them throughout the year. 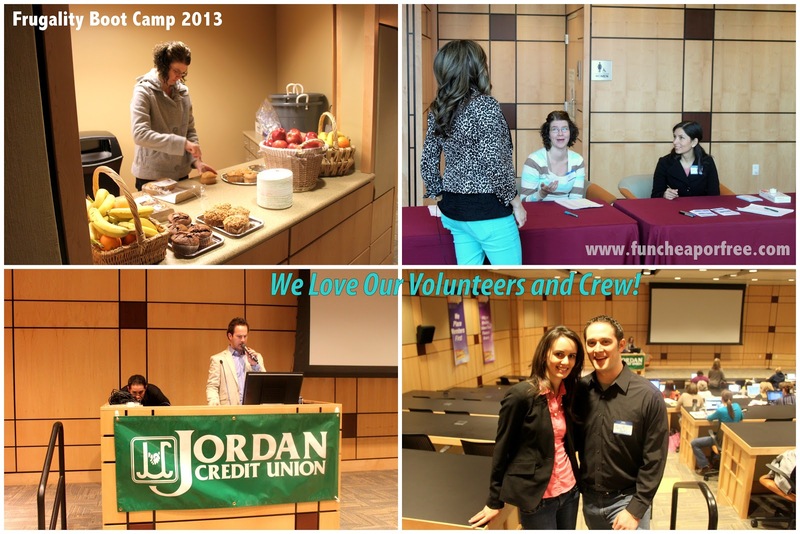 Jordan Credit Union taught us all about the benefits of credit unions and how they can offer you CASH benefits for opening accounts with them. This is perfect info when opening your 7 Bank Accounts. 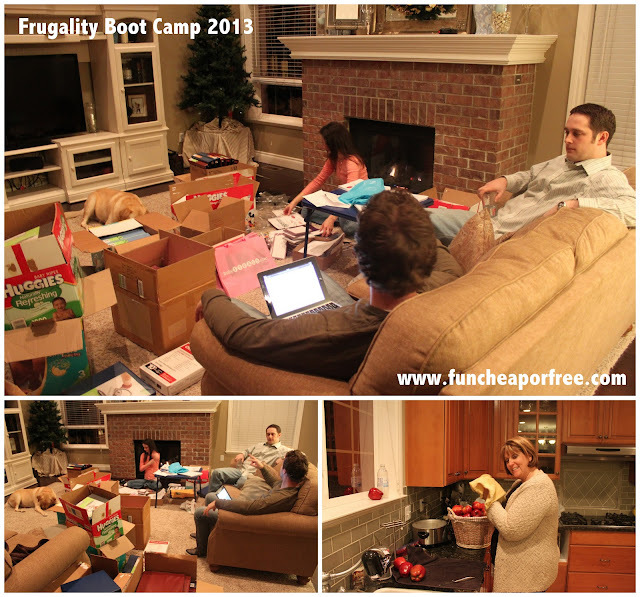 This year the 15+ men headed off to MAN CAMP while the women learned about Frugal Fashion from the fabulous Nick Scott. Always adorable, and always a side-splitting riot! A major highlight of the day were the coupons, freebies, and giveaways that were handed out, compliments of Candle Warmers, Sugar Doodle Kids, Money Mastery, Jordan Credit Union, Deals to Meals, BabySteals.com, and The Sweet Tooth Fairy…just to name a few. Another perk we added this year was the 30 minute Q&A with presenters and sponsors at the end of the day. It allowed us presenters to get to know the attendees 1-on-1 even better, and allowed everyone the opportunity to get all their questions answered in-depth before heading home. 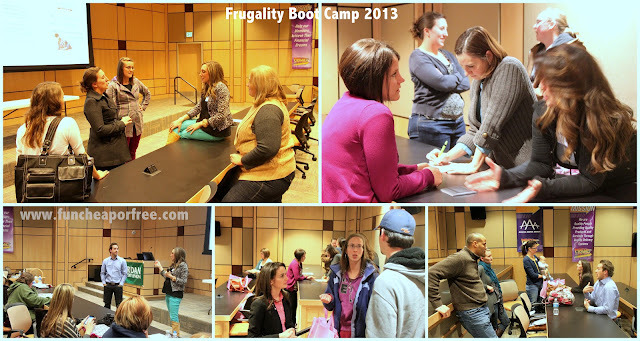 It was such a fun, inspiring day! Though I'm only 35 weeks I went into early labor earlier a few days before Camp and had to get a shot in the hospital to stop the contractions. and now I'm ready for a nap. Needless to say, it was an amazing day for everyone, including myself. I also know that our attendees feel the same way. 2) How valuable they found the information/day to be in terms of being able to apply it to their lives to improve their financial future. Our average rating was 9 out of 10! Ain't bad if you ask me! And, honestly, I have to give a shout-out to the most amazing Director of Marketing on the planet. If any of you get lucky enough to correspond with Lindsay, you'll know why I'm pretty much obsessed with her. It would't have been such a success without her! Oh, and just for the record, she left her 2 year old behind and flew in from NY for 5 days to make sure everything went smoothly last weekend. Once again, I hope you all join us next time. It will be bigger, better, and full of even MORE information than ever. Can't wait for the next one!!!!! A big thank you to our sponsors who helped make this happen, and helped to keep it so affordable this year. Couldn't do it without you! Please do a webinar FBC!! I have longingly looked at the posts about FBC really wishing I could go but I live in Pennsylvania and that's just not a frugal decision is it! I LOVE the idea of a webinar!! Maybe like an hour a day for a week or something? I'm the same, wish I could go but it's just not an option! Yup! We hope to make this happen very soon. Keep any other tips and ideas coming, we'd love to know what you'd like to see! I also vote for Webinar or a "at your own pace" workshop type deal. A lot of the tips on your website are helpful but there are also some limitations to what is available in my area. 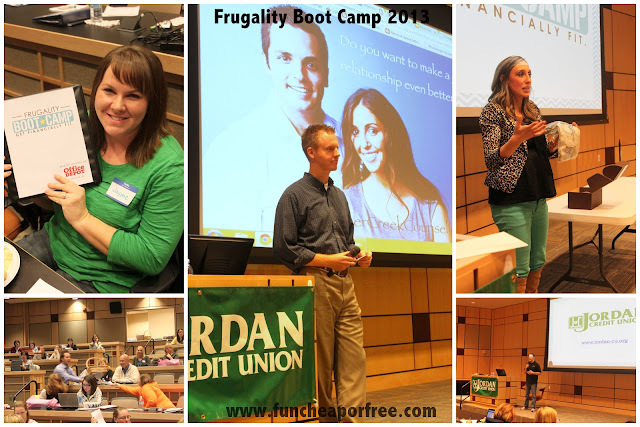 I am particularly interested in the "spouse roles in finance" and "how to talk about finance with your spouse".